An intro by the CEO himself! CHECK OUT OUR NEW LISTING IN COLUMBIA, MD WELL MAINTAINED SINGLE FAMILY HOME. 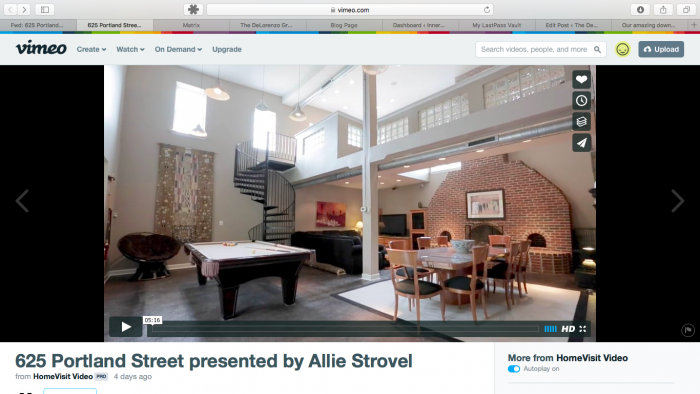 Our amazing downtown loft home listing – 625 Portland St- Must see video! 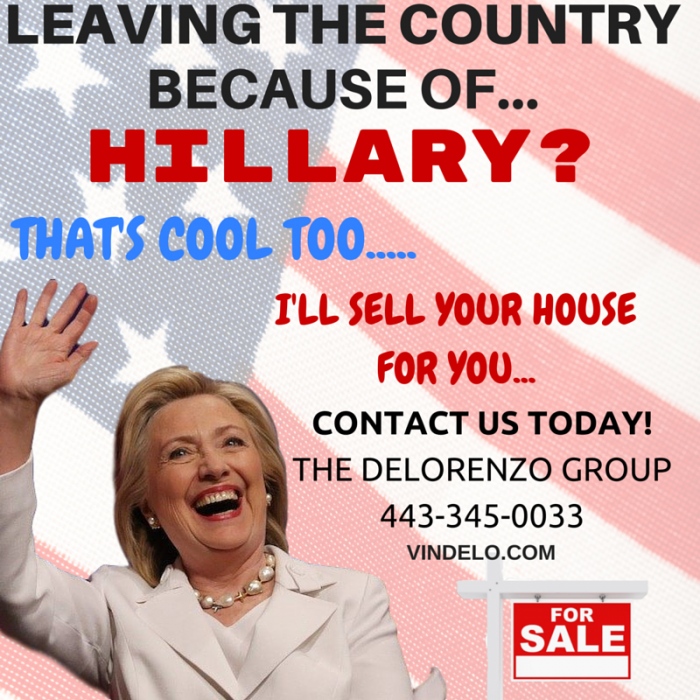 Hillary will increase home sales as well! 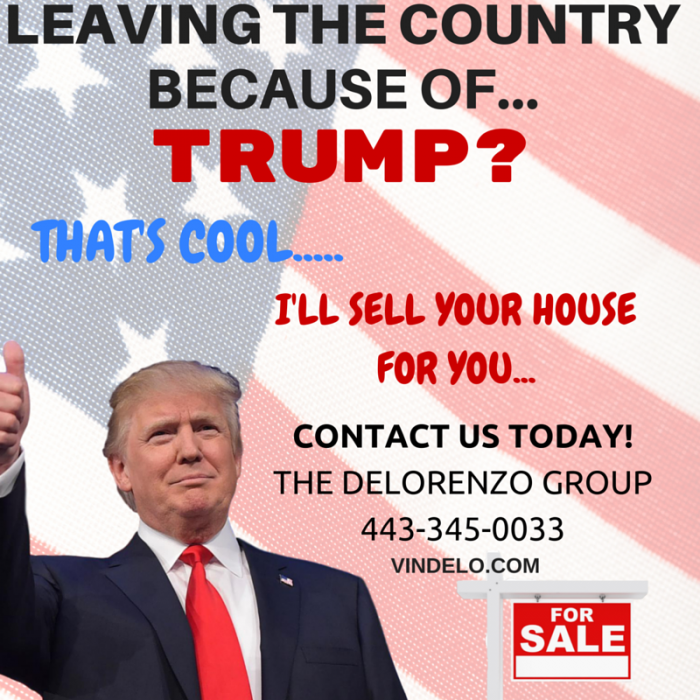 Homes sales will spike if Trump wins! We are a boutique Realtor Service in the Baltimore & Washington surrounding markets. We help you buy & sell Luxury homes, Distressed homes, Investment & Multi family properties, First-time homes, Commercial, Real estate auctions, Foreclosures & Short sales.